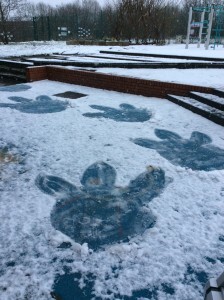 We then found these mysterious footprints! noises coming from the outside area. 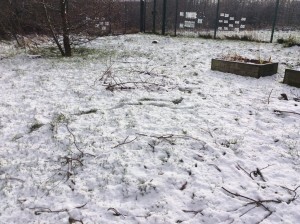 We put our coats on and went outside to investigate. 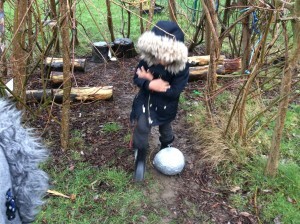 To our surprise we found a huge dinosaur egg which we very carefully brought into our classroom. 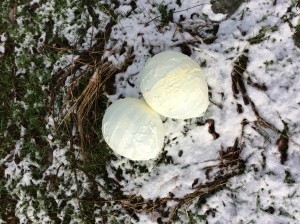 We are now looking after it and keeping it warm. 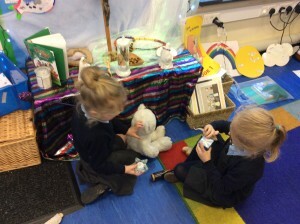 Please talk to your child about the egg we think it belongs to a dinosaur. 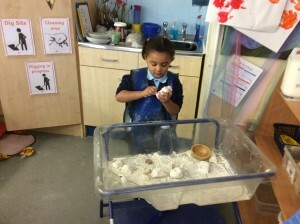 Can you tell which dinosaur bones we have found? 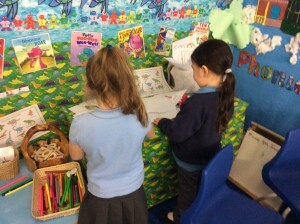 We love to use the prayer table. 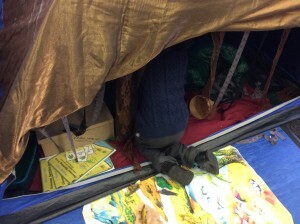 Getting lost in our dinosaur explorer tent. 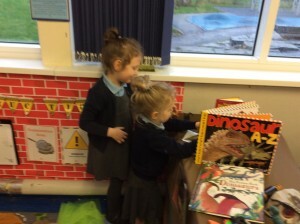 We know we can find out about dinosaurs from our information books. 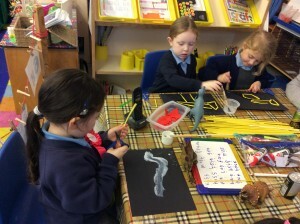 We are learning to write independently on our new dinosaur writing area. We are learning to be archaeologists.